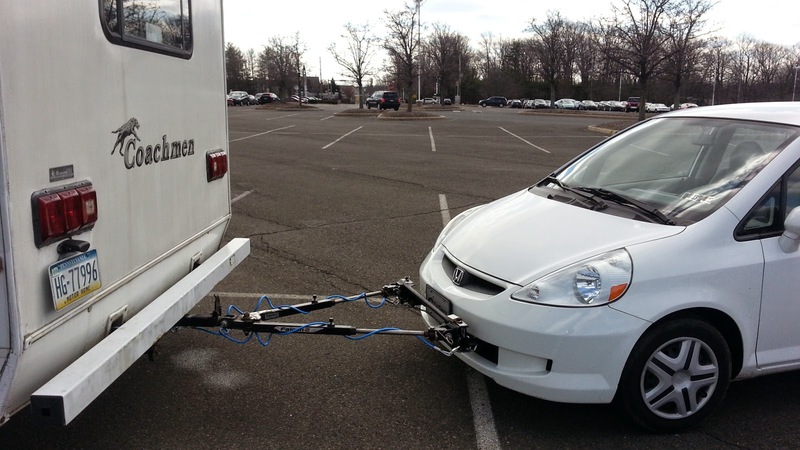 We've added tow brackets to Amy's 2007 Honda Fit. Had them since last year, just never got time to install. Finally had our mechanic - Jim's Auto in Roxborough - do the installation. Now, just need to get the brake & turn lights figured out. 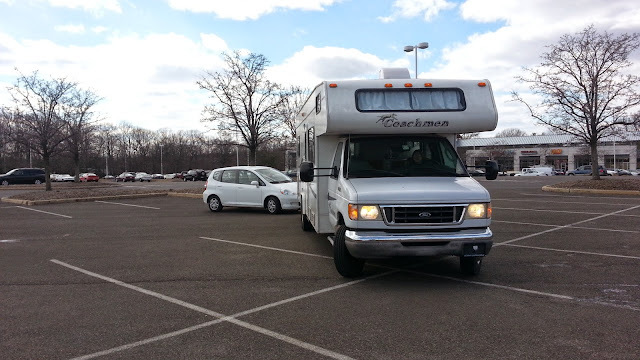 On this test tow in a parking lot - worked great!